Simon won the group at the World Show! 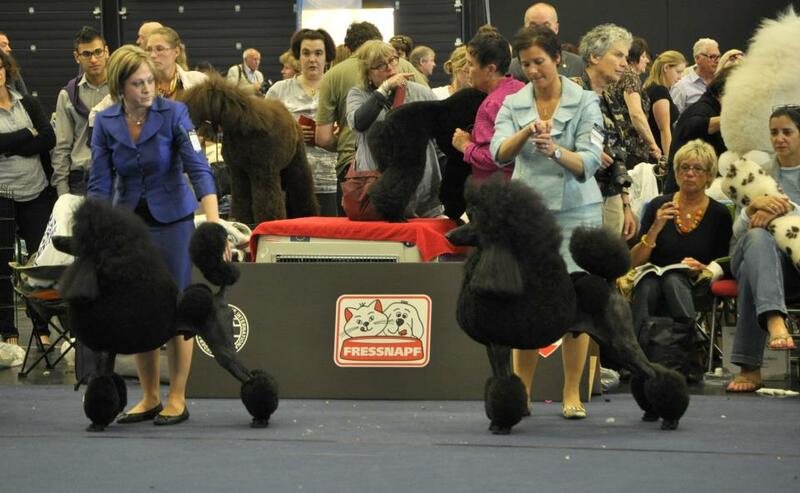 We didn´t only have success in the breed at the World Show. Simon also won the Group-9!!! unbelievable!!! Thanks to the judge Mr Norman Deschamere. Here is a picture of Chris and Katarina Kocjan his owner, groomer and handler and Simon in the best male competition. As my friend Maria Modig asked me, Do you realise what you have done the latest months? weeks? No I havent but also it’s not me its Simon!! He is a fantastic dog! Since Crufts in March where he got BOB under breed specialist Mrs Sharon Haynes Pine, BIS at Malmö International Show, Henrik Hannelius who also is a breed specialist in the breed, and Allround judges in the group and BIS. America and PCA another breed specialist Mr Dennis McCoy and now also the WDS, Allround judge Mr Paul Stanton and Mr Deshamere. The most fantastic with this dog is his temperament and appearance! He is a star of a dog very proud of himself and a very noble one. ← WDS in Saltzburg another great weekend for us!